The difference is the first question incorrectly assumes that Japanese are not interested in or are opposed to learning about Christianity. The truth is that Japanese people are open to learning about many things, including Christianity. In a recent Pew survey, the majority of Japanese surveyed had a favorable view of Christianity and of all the major religions, chose Christianity as the most favorable, even above Buddhism. They may not like the idea of organized religion, but then again, Jesus wasn’t a big fan of it either. The second question rightly assumes that there is spiritual warfare going on between those opposing God and those doing His work. And this is not just between groups of people but in the spiritual realm of angels and demons, which I am not knowledgeable enough to discuss at length, but I know it goes on around us every day, unseen. Satan does not want the Japanese to hear the gospel message. He does not want Japanese to know the facts about Jesus Christ. And he is throwing huge amounts of resources into battle to ensure they are kept in the dark. So how is the devil working to oppose the message of the gospel to the Japanese? This post would go on for pages if I tried to explain every aspect of spiritual interference Christians face in Japan, but I’d like to highlight some of the major ones and perhaps dive in to the details in future posts. Japan is known as an industrious nation and solidified that reputation in the post WW2 era, becoming an economic superpower on the back of manufacturing and quality improvement. However, that reputation has become an idol for many Japanese companies who now insist on a work-life imbalance that most Americans would find horrifying. Though a lingering economic malaise has slightly improved the situation for the average Japanese worker, long hours and six day work weeks are often the norm. If a worker has free time, it is often used to catch up on sleep, spend time with family or engage in a hobby. There is simply no room for learning about Christianity in the schedule of most Japanese once they graduate from college. Ironically, most Japanese, including those in the government, know that overwork is a big problem in Japan. However, nobody seems able to make any major inroads to change. I believe this is because deep down, Japan is proud of its workaholic reputation in the world and employees are rewarded for taking part in that system of overwork. Christians should be aware that Christianity is neither western nor religion, with its roots in the Middle East and its emphasis on a personal relationship with God that is unique to Christianity. Yet because of its obvious differences from Buddhism and Shintoism, this reputation is difficult to shake. The existence and popularity of cults in Japan is proof in itself that Japanese are indeed spiritual people. Spiritual, yet not necessarily religious. Unfortunately, many cults, including those who identify themselves with Christianity, are active in Japan, preying on people’s spiritual hunger. Even those who are wise enough to escape the grip of a cult find themselves suspicious of any other “religious” group, and perhaps rightly so. As Japanese people are not well aware of the facts of Christianity, cults which claim to be Christian can be very dangerous to them. For Japanese people, cults like the Mormon church, Jehovah’s Witnesses, and Unification Church can be indistinguishable from true Christian churches until it is too late. Even in the best cases, these cults create distractions that keep Japanese people from learning the truth about God. In worse cases, it turns them into deceivers of their own people. I bring this up cautiously and without pointing fingers at any organization or church in Japan. 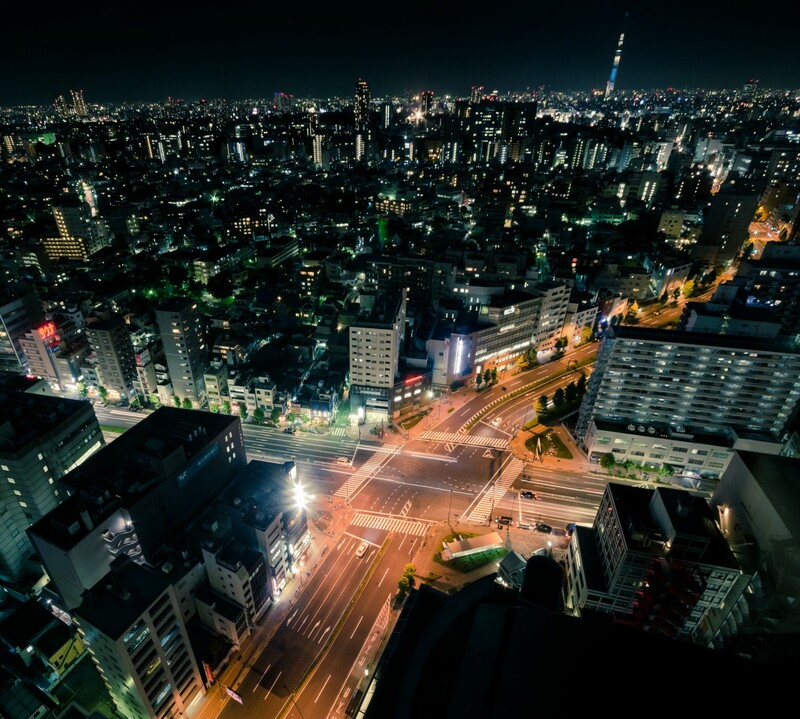 However, in Japan, just as anywhere in the world, there are churches that exist that are not demonstrating the power of the gospel in changing people’s lives. Some are merely social groups of people meeting together every week to sing songs and hear an uplifting message. Some are churches that treat new visitors as outsiders who are creating an inconvenience to them. Some refuse to acknowledge that the methods used to share the gospel with others has changed dramatically over the past few decades, or that methods that work in the West do not work nearly as well in Japan. The worst cancer in the Japanese church is the lack of unity between churches. While more partnerships between churches have been forged recently through disaster relief efforts, there are still too many churches trying to do things on their own without any inclusion of other churches or organizations in their area. When disagreements or battles between Christian groups become public (and Japanese people do love their gossip), it puts a stain on our reputation as people who have been changed by the power of Christ. When we begin to ask the right question, we understand that the most powerful weapon again Satan is prayer. And prayer is something that can be done by anyone, at any time, from anywhere. Would you consider joining us in regular prayer against the activities of Satan to deceive the people of Japan? Would you ask prayer groups you belong to to include this topic in their prayer times? The war was already won when Jesus pronounced “It is finished” on the cross, but the battles for the souls of God’s people are still being waged, and you are a difference-maker. The image in this post may represent the single most important image I have had the privilege of creating since coming to Japan. People who know me understand that I love to dive right into editing my images as soon as I can get them downloaded on my workstation. But I allowed this set of images to sit for a while so I could reflect on the man who is the subject of these photos and his life’s journey that brought him to where he is. Anyone familiar with Japanese culture knows that when they see the tattoos and the severed pinky finger, they are looking at the image of someone associated with the yakuza, Japan’s organized crime syndicates. It is true that this man was once a member of the yakuza, but it has been decades since he was miraculously released from the service of his crime bosses to do something he had become passionate about while languishing in prison: sharing the love of Christ with others. Unfortunately, the physical effects of being a part of the yakuza are often impossible to erase. Fingers do not grow back. Body tattoos are not easily removed. And drug abuse as a youth often leads to frail health later in life. Years of living with the physical reminders of his past and the harsh judgement of certain Christians in his past have transformed his physical scars into emotional ones, scars of shame over his past. Though I have known this man for over a year, this was the first time I ever realized he had tattoos. He kept them carefully hidden under long sleeves and collared shirts. In all of our lives, we carry the tattoos, the scars, the wounds from our sins before we knew the saving power of Christ. When our lives are redeemed, God doesn’t promise to remove those reminders of our past. Sometimes, he uses them to allow us to speak into the lives of others who have the same kinds of scars. I have titled this image “Under the Weight of Grace” to remind us that God can make the things in our lives we feel ashamed of having done tools for reaching others with the message of grace. I chose to bring a soft, warm light from above to symbolize the grace of God falling on us. I hope the Lord will use this image to inspire the man in the photo and others who are suffering from the weight of their shame when they should be rejoicing in the weight of His grace. If you’ve followed our adventure for this past year, you may notice that among the ministry events we participate in, there are also many cultural events that we take part in as part of our life here in Japan. Summer festivals, tea ceremony, and even pop culture events have all been things we have been blessed to enjoy. Though these events seem unrelated to our core ministry here, they are actually a vital part of our ministry when we look at the big picture and the potential that we may be in Japan for many years. For the sake of simplicity and because I tend to be a prolific writer once I get going, I’m just going to break this down into a few key points. Over the next few months, I’ll expound in detail on several of these so you get a better understanding of what I mean by them. Ready? Seek first to understand, then to be understood. Among the many wonderful tidbits of wisdom from YWAM director Tim Svoboda, this is one that I use every day. 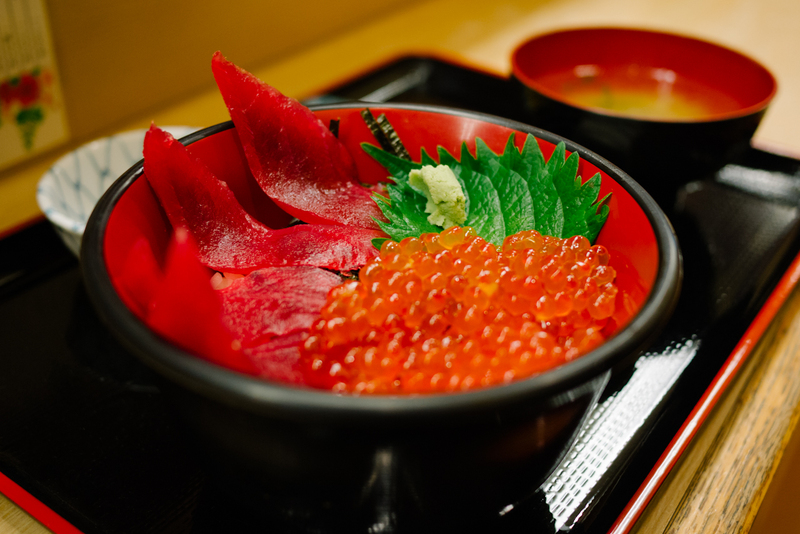 Japanese culture, as viewed by a person from Western culture, is very difficult to understand. The priorities of the average Japanese person and the group vs. individual mentality are so radically different that one must pause to think in the Japanese mindset before reacting. Full immersion in Japanese culture helps make that transition to the Japanese way of thinking easier, though it is never automatic. Participating in Japanese tea ceremony, for example, teaches us the mentality of serving others in even the smallest of detail. It teaches us to appreciate beauty in seemingly ordinary things. It teaches us the virtue of humility that is held in such high regard in Japanese culture. Be the salt. Be the light. Because Japanese culture is so relationship based, the concept of evangelism has to be adapted to fit that relational model. It is said that a Japanese person will take 3-5 years to make a commitment to Christ, but not because they don’t understand the gospel on an intellectual level. More likely, it is because they want to take the time to know you as a Christian, literally a “little Christ”, to see how Jesus makes a difference in your life. Just like Western culture, there are many subcultures of Japanese culture which are by nature more difficult to reach with the gospel. Not necessarily because they are resistant to the gospel, but because Christians lack the desire or courage to become part of those subcultures to be the salt and light to them. Often, the groups that suffer are those with strong adherence to Japanese traditions which was seen by the traditional Protestant church as pagan. We feel that if God opens a door to build a relationship with a specific group of people, we are obliged to take that step. So we make it a point to get involved with as many different subcultures in Tokyo as we can: artisans, musicians, photographers, college students, special-needs children, and even break dancers! Inspire others to do something. I apologize if this sounds self-serving, but one of the reasons we do these things is for you! As we interact with people from outside of Japan, we find that many people are interested in Japan and its culture but know very little about it. Part of the issue is the language barrier and part is that the Japanese people put a strong value on being separate from the rest of the world. Japan is probably one of the most homogeneous first world nations, with little desire from the government or general public for looser immigration laws. Many things are talked about being “uniquely Japanese”, even things that aren’t really unique to Japan. As we experience Japanese culture and share these experiences with you, we hope that we are creating sources of information in English for people who are curious about Japanese culture and inspiring people to care about and pray for the people of Japan. If a few of you are inspired so much to become ministry workers here in Japan, we certainly wouldn’t complain about that either! Falling in love. Another wonderful tidbit from Tim Svoboda, as seen at the top of this post, is that our primary job is to fall in love with the place we are in. We can’t love the people if we hate the culture. We must learn to value the good things that they value. Of course, we weigh those practices against the Word of God and we do what is right according to Scripture. But it is never wrong to develop a deeper understanding of the culture in the place where you live. The Svobodas spent 30 years in India, so Tim knows exactly what he’s talking about when he says this. Almost every visitor to Japan leaves with a respect for some part of Japanese culture that they encountered: politeness, generosity, cleanliness, humility, aesthetic beauty. Not surprisingly, everything a person could admire about Japanese culture has roots in the character of God. An ability to connect the things Japanese people admire to scriptural references to the character of God helps break down the false idea that Christianity is a Western religion. As you follow this blog, you will continue to see a mix of both ministry related and culture related posts about our life here in Japan. What I wanted you to see is that the two are intertwined with one another in ways that aren’t always obvious. Though I’ve only given you a brief overview of the importance of studying local culture as an overseas ministry worker, I hope to give you more in-depth essays on these topics in the future. Over the next few days, I will be posting about a few of my experiences during the Equipper Conference this week. There is really so much experience to unpack, I cannot possibly summarize it in a single post. If you’d like to hear more about my EC experience, keep checking back for new posts. I must confess, I had no intention of attending the Equipper Conference this year. I volunteered as a driver and photographer, but if neither of my offers were required, I would just stay home and enjoy our last Winter break in America with my family. It wasn’t that I didn’t want to go to EC, but I thought to myself “We’re leaving for Japan in the middle of next year. Since the English track is focused on supporting Japanese students here in the US, there isn’t really any benefit to going just to learn about that.” Looking back, I can hear the selfishness in my perspective seeping out: what’s in it for me? A moment of joyful fellowship at the Equipper Conference. Fortunately, God had other plans for me. I was needed as both a driver and a photographer, so I attended EC for the first time without the rest of my family. It’s been years since I had to sleep in bunk beds with a room full of guys (and one bathroom) so I was a little worried about that. As it turned out, I had a great bunch of guys as cabin mates and since we were all in small group together, we were really blessed by each other’s company. Some of us were also able to share network connections with one another to help support each other’s ministries. God surely handpicked each of us to be in that cabin together. 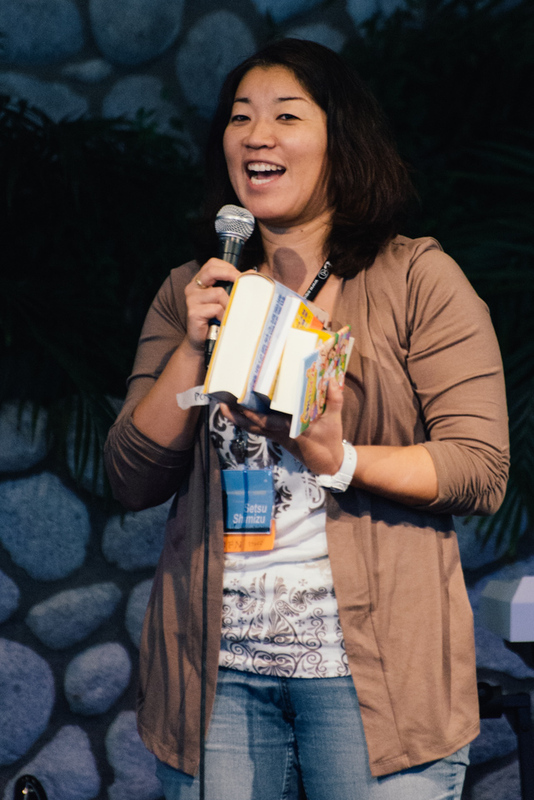 Setsu Shimizu has led the Equipper Conference many years and has been a mentor to many leaders in Japanese ministry. One of the things that was hard for me attending EC in the past was the feeling of being an outsider. About 80% of the attendees are Japanese students and 90% are Japanese speakers (or they choose to speak Japanese as their primary language during EC). With my limited language capabilities, I rarely tried to strike a conversation with someone outside of the English track. Of course, it was all very silly since almost every Japanese person at EC speaks some English and most are pretty fluent. This year, I made it a point to sit at a different table for each meal and meet at least one new person. Some were Japanese and some were English speakers but God was able to use those times to introduce me to some amazing people, many of which I will see again in Japan or as we visit churches along the West Coast in search of ministry partners. 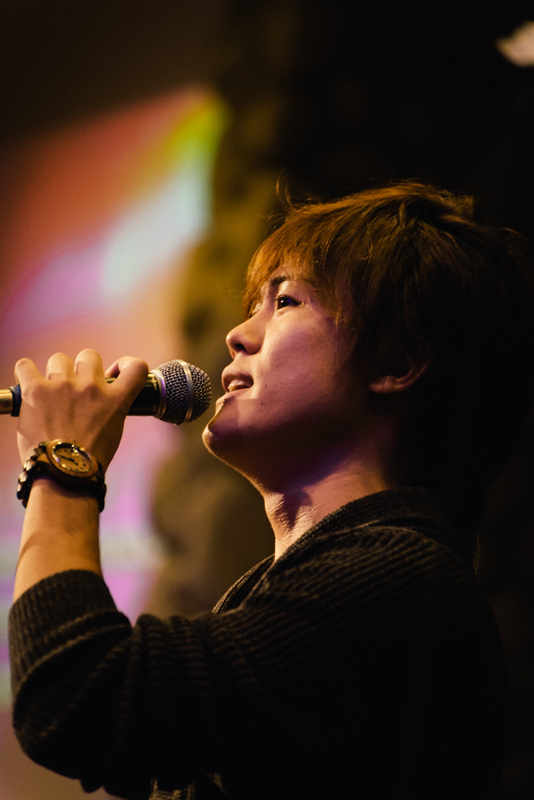 Worshiping God in the Japanese language. The general program this year was, like every year, packed full of opportunities for God to work in the hearts of those attending. I won’t go into specific details but I was extremely blessed by the worship times. 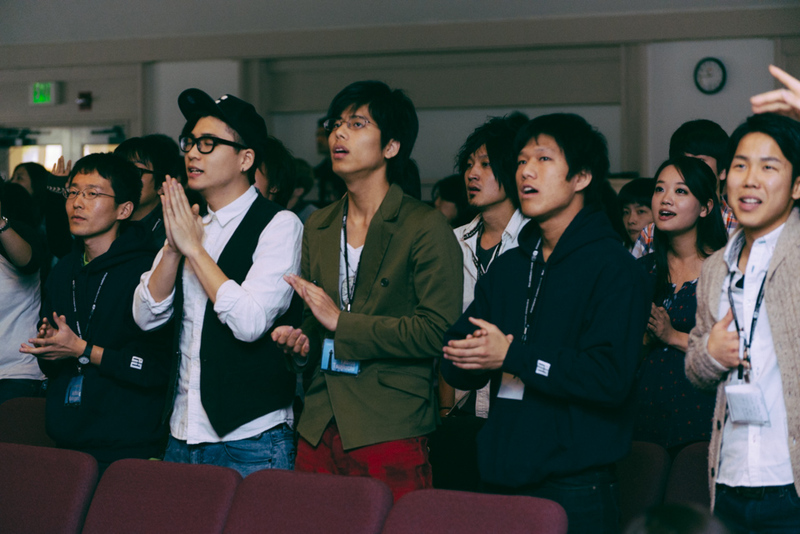 Seeing so many Japanese worshiping God with such passion never fails to move my heart. The Holy Spirit was certainly moving throughout the conference. At least two students that our small group prayed for accepted Christ during the conference. Prayer is a critical behind-the-scenes aspect of Equipper Conference. Another aspect of the conference which I get to notice as a photographer but most people wouldn’t see is how much prayer goes on during the conference. The prayer team is praying constantly, often in the back of the room or in the prayer room, out of view from the attendees. This team is such an inspiration to me to remind me how critical prayer is when we are asking God to do something awesome like transforming people’s lives. If there is one thing that sticks out in my mind, it was during the men’s breakout group when our speaker Kuni Onishi kept telling the group that their generation is going to bring revival to Japan. As I looked around the room and saw the passion and determination on the faces of these young men, I sensed God confirming the truth of Kuni’s words. 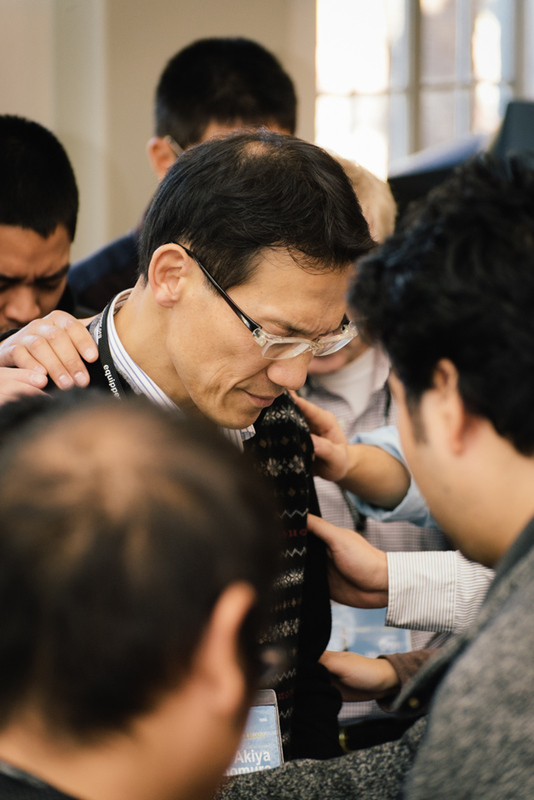 Japan is finally ready to receive the gospel and God is raising up a team of young Japanese Christians who are passionate to expand His Kingdom. Praying for Shimomura-san, evangelist to Japanese businessmen. I would also like to believe that God brought me to EC not just to be blessed but to be a blessing. I can’t go into a lot of detail here but I did have many opportunities to pray with and for people, including several of the students, some of whom received Christ during the week. I had a short time to collaborate with a Japanese pastor in Tokyo who desires to reach young people in his city. I got a small taste of what ministry in Japan might be like and that taste was sweet. I’m sad that I probably won’t be able to attend EC again for a while, but who knows? I didn’t intend to attend EC this year and God brought me anyway. If I can be a blessing to others and God can provide a way, perhaps we can come from Japan again to bless and be blessed by EC. The Japan FAQ: What Are You Going To Do In Japan? What are we going to be doing in Japan? Hopefully, eating a lot of this. The question de jour for us right now is: So…what are you going to be doing in Japan? I have to admit that I struggle for a good answer right now, one that is not too vague. leaving the person asking to wonder if I even answered his question and not too specific, leaving him wishing he never had asked. Our organization, JEMS (Japanese Evangelical Missionary Society), has a very simple vision: “Jesus for every Japanese, Jesus everyday.” I love our vision because it says some very important things that everyone, not just Japanese people, and not just non-Christians, should know about Christianity. Jesus is a person, not a religion. We aren’t going to Japan to bring them religion. Japan has quite enough religion as it is, probably too much, if you define religion as a set of traditions and rules that one must follow to be considered “good” and live without fear of something “bad” happening to you. Jesus is a person, whose life on earth was lived perfectly as an example to all mankind and whose voluntary death on the cross was done as a perfect sacrifice for the wrongs we have done. The only “rule” of Christianity is faith in Jesus, that he is whom he claimed to be. 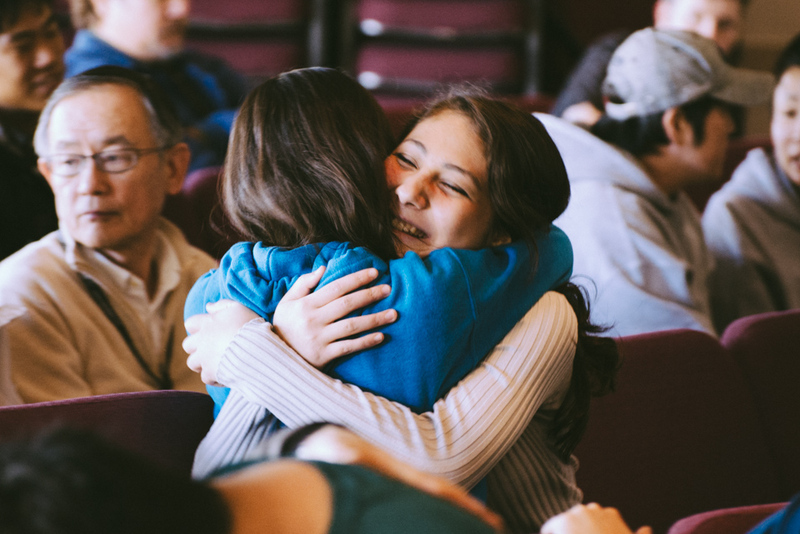 Anything else we do, including moving to another country to share about Jesus, is what we choose to do in response to the love of God through Jesus. Jesus is for everyone. There is a big misconception, not completely unfounded, that Christianity is a Western religion. While this is definitely untrue (after all, Jesus was a Jew and Christianity began in the Middle East and spread through both Europe and Asia from there), the entanglement of Christianity with Western culture, particularly American, is difficult to unravel. That’s why I like the idea that we aren’t bringing Christianity to Japan. 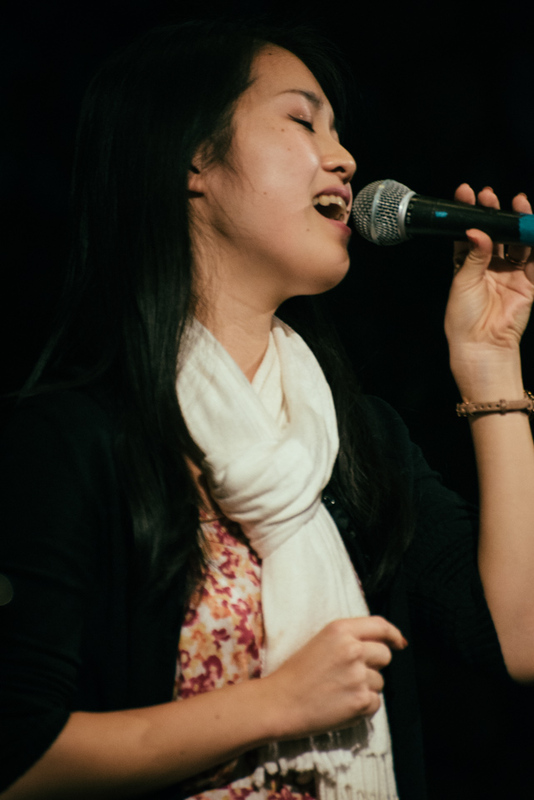 We are bringing the story of Jesus, also known as the gospel, to the Japanese people. Everyone should have an opportunity to know who Jesus is and decide for themselves if he is worthy to be believed. But the fact is the majority of Japanese people, even in the largest metropolitan areas, do not have an accurate depiction of who Jesus Christ is. “Jesus everyday” is a manta we could all live by. It’s become a bit of a cliche, but I think the best thing any Christian could do when they wake up in the morning is spend a few minutes pondering this question: “What would Jesus do today?” It’s not a question of “What would I do if I were Jesus?” but “What would Jesus do if he were me?” In other words, if Jesus had my career, my location, my material goods, what would he do today? If we answered this question each day with brutal honesty and actually did what Jesus would do, what a huge difference it would make in the world. Because Jesus wouldn’t walk by the homeless woman begging for change in the subway station; he would stop and talk to her and give her some dignity. Jesus wouldn’t spend his whole day trying to make himself look good to his manager at work; he would look for ways to help others succeed. Jesus wouldn’t fall asleep on the sofa watching a baseball game (this hits home for me); he would spend time building up his family and leading them by example to be godly people. So back to the question “What are you going to be doing in Japan?” In the most basic sense of the question, we will be living out the vision of JEMS: Jesus for every Japanese, Jesus everyday. When I wake up each morning, I want to ask the question, “What would Jesus do today?” and then go and do it. I want to share the love of Jesus with every person I meet and paraphrasing Saint Augustine, when necessary, use words. It is not necessary to be a master of a language to show love and compassion to people. Yes, I actually do have a plan beyond wandering around Tokyo sharing the love of Jesus with people. I know many people, particularly my parents, would be uncomfortable if I didn’t have any plans beyond that. But the details of that plan are another blog entry unto themselves. Jayne will be interviewing to serve at the Christian Academy of Japan for a position much like what she does now, helping kids with speech and language issues and learning disabilities (and their families). This is a role that has been needed for a long time at CAJ and she is thrilled to be able to fill the need. We know of friends who were serving abroad who chose to come back to America because help for children with learning disabilities is not easily found in many countries, including Japan. In a larger sense, Jayne desires to contribute to a positive change in the stigma that Japanese culture has toward those with mental and learning disabilities. If Jesus was in her position, that’s what he would do. So there you have it. That’s what we’re going to be doing in Japan for the next few years. Hopefully, as you follow our exploits, you’ll get a better sense of HOW we are doing what we are doing.